(Mankato, MN) – A Mankato man accused of providing fentanyl-laced pills to a woman who died of an overdose last month has been charged with murder. Court documents say that Justin Michael Lang admitted to investigators that he’d sold ten blue pills to Beth Ann Roulet on March 2, just days before she was found dead at her parent’s home on March 5th. Lang, 28, now faces felony counts of 3rd-degree murder and drug sales. He also faces two counts of 5th-degree drug possession in Blue Earth County Court. He was charged Friday. According to the criminal complaint, Roulet came to her parent’s home on the night of March 4th to babysit her two children, who are under the custody of her parents. Her parents told police they had gone to a concert in the Twin Cities and returned to a quiet house around 12:55 a.m. Around 7 a.m. the following day, the children woke them and said their mother was in the bathroom and wouldn’t wake up. Roulet was found deceased in the bathroom, according to the complaint. 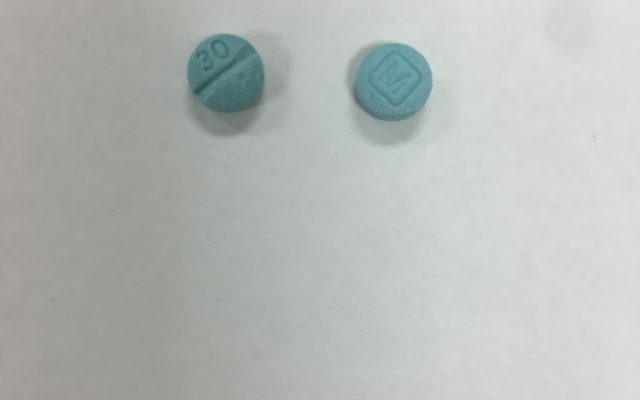 Court documents say that three blue pills marked with M 30 were found at the scene. The rough edges led police to believe the pills could be “Mexican Oxy,” which often contain fentanyl, a powerful synthetic. Roulet’s family told police she has struggled with drug abuse for many years and had become addicted to opioids after being prescribed them after several surgeries, according to the complaint. Investigators searched Roulet’s phone and found text messages and Google Map information leading to Lang from March 2nd. Roulet’s boyfriend told police he had gone with her via taxi to Lang’s home and paid $200 dollars for Oxycode. He told police he didn’t believe the pill was actually Oxy because of how strong it was, according to the complaint. Pink plastic gem baggies were found in a garbage bag inside Lang’s residence on the evening of March 5th matched those found at the scene of Roulet’s death, according to the complaint. Also found in the trash was a digital scale and several smoking devices that tested positive for meth, court documents say. The Ramsey County Medical Examiner concluded the cause of Roulet’s death was “mixed drug toxicity.” Her blood tested positive for the presence of fentanyl and several other drugs, according to the complaint. The Minnesota Bureau of Criminal Apprehension confirmed on March 7th that the blue pills found in Roulet’s purse contained fentanyl. Lang was arrested but later released. A warrant has been issued for his arrest. He has previously been convicted of felony 5th and 2nd-degree controlled substance charges, 2nd-degree burglary, and 3rd-degree assault.